A-DOR-A-BLE! Your sweet bunny and butterfly are pure delights, and your colouring...oh my! 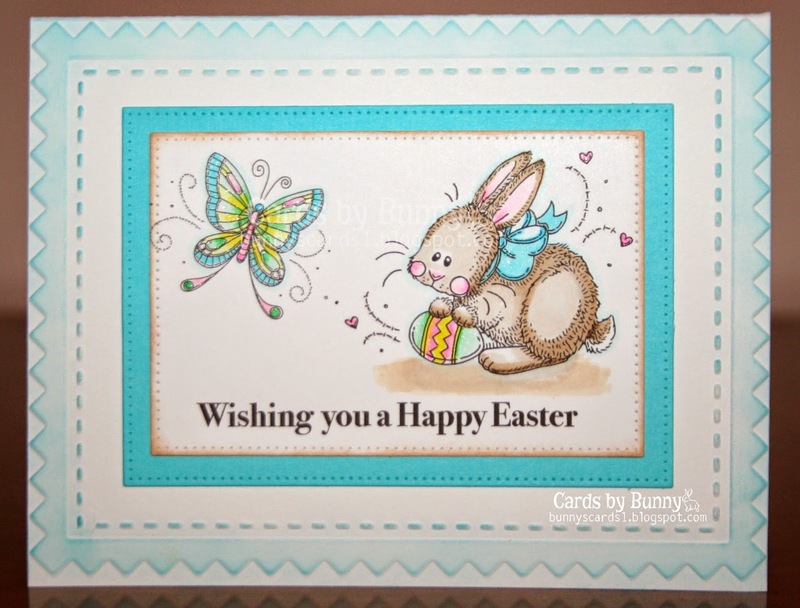 Thank you for sharing your marvelous 'girly-girl' themed card in The Pink Elephant gallery! Your layering is fabulous! Love the coloring and details! Thanks so much for playing Simon Says Stamp Wednesday “Special Lady/Girly” Challenge! Two great images to combine together! Such sweet colors! Thank you for joining us this week at Meljen’s Designs for our Seeing Double challenge!